Got these for table decorations and favors for my beach wedding. Perfect size and cute wrapping. My only dislike is that they aren't personalized out of the packaging. Other than that, perfect and useful. I love this. It will be used as a favor and so worth it. Bought these as a bridal shower party favor. I'm VERY pleased with them. They are of good quality and not too thin, as I was afraid they may be. Did not get them personalized, but instead, used a circular heart sticker that fit perfect. Arrived promptly. The color & look was just how they looked online. 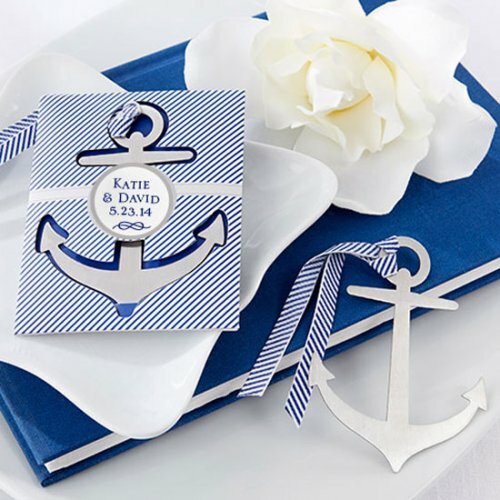 Now the newlyweds can set sail into their happily ever after with the perfect favors – these adorable anchor bookmarks! 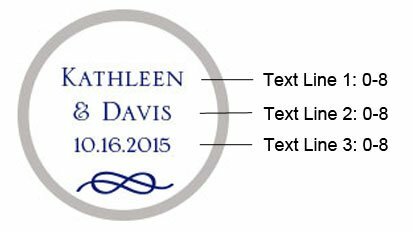 Each bookmark is made of high-quality metal and fashioned into the shape of an anchor, and includes a beautiful blue-and-white striped ribbon. The ribbon makes it super easy to find your place, even with the book closed. Each anchor comes individually gift-wrapped in a coordinating envelope, ready to hand out to guests.